The number of college students with disabilities is on the rise. Currently, there are about 600 students with a documented disability on Murray State campus. Universal Design for Learning (UDL) can be utilized to provide opportunities for all students to access, participate in and progress in general education curriculum by reducing barriers to instruction. As with any form of diversity, there are also pedagogical challenges and opportunities that go beyond accommodation and support the goal of learning for all. 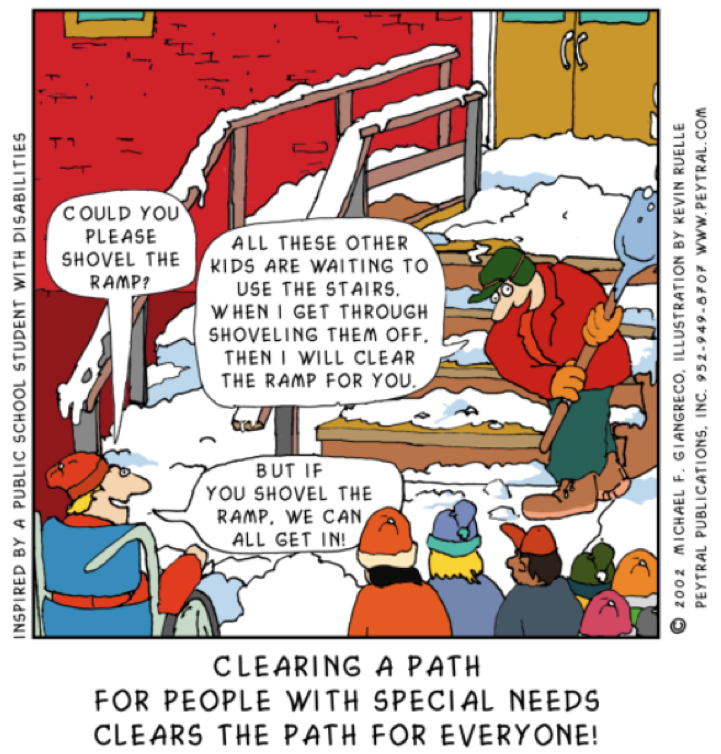 Universal Design for Learning (UDL) is an important educational framework to consider for meeting the needs of students with disabilities in postsecondary education institutions. Thoughtful planning through the lens of UDL can offer important options for learners as they navigate a range of college or postsecondary opportunities. This framework has been receiving increased attention by faculty in postsecondary institutions (Rose & Meyer, 2002). UDL means that, rather than designing for the average student, instruction is designed for potential students who have broad ranges with respect to ability, disability, age, reading level, learning style, native language, race and ethnicity. Regarding students with disabilities, UDL challenges the instructors to go beyond legal compliance to proactively design an accessible course and integrate practice so that all students benefit. UDL can be applied to all aspects of instruction, including class climate, interaction, physical environments and products, delivery methods, information resources and technology, feedback, and assessment. UDL requires that we not only design accessible information, but also an accessible pedagogy. In general terms, pedagogy is the science of teaching and learning—the educational methods that skilled educators use to highlight critical features, emphasize big ideas, clarify essential relationships, provide graduated scaffolds for practice and guide and mentor the student. The framework for UDL is based in findings from cognitive neuroscience that tell us about the needs of individual learners. It embeds accessible pedagogy into three specific and central considerations in teaching: the means of representing information, the means for students’ expression of knowledge, and the means of engagement in learning (Rose & Meyer, 2002; Rose, Meyer, & Hitchcock, 2005). Rose, D. H., Meyer, A., & Hitchcock, C. (2005). The Universally Designed Classroom: Accessible Curriculum and Digital Technologies. Cambridge, MA: Harvard Education Press. Universal Design for Instruction (UDI) is an educational framework for applying universal design principles to learning environments with a goal toward greater accessibility for all students, including students with disabilities. 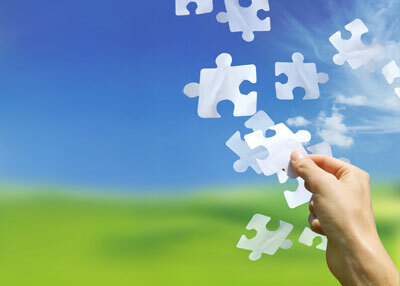 The goal of UDI is to maximize the learning of students with a wide range of characteristics. The UDI framework has gained increased attention and application by educators in K-12 and postsecondary levels. UDI means that, rather than designing for the average student, one designs instruction for students who have a broad range of ability, disability, age, reading level, learning style, native language, race and ethnicity. The University of California Irvine recommends that "if you are providing documents created from MS Word, Excel and PowerPoint source files use the built-in styles (Word/Excel) and templates (PowerPoint) when creating the original document. Doing so will ensure the greatest level of access. Additionally, if you are to create PDFs from these same files, they too will have the greatest level of access." The University of California Irvine recommends that "If you are distributing PDFs ensure that they are not imaged-based PDFs (images or pictures of text). How can you tell if you have an image-based PDF? If you click inside the PDF and the entire body/page of the document is selected you have a Image-based PDF. If you click inside the PDF on any text and a cursor appears you have a text-based PDF and it is accessible to read. Jessica Phillips, Instructional Designer at the Office of Disability Services at Ohio State University, recommended pointing key points on PowerPoint slides so that students who take notes more slowly won't miss information when you change the slide. She demonstrated this quite well in her 2015 EDUCAUSE presentation Five Course Design Tricks to Maximize Learning, Creativity, Engagement that is available online at u.osu.edu. Paula Bigatel from the Penn State Office of Online Faculty Development suggests incorporating (1.) Use clear link text: avoid “click here”; (2.) provide Image ALT Text: write sufficient description of images; (3.) ​format data tables to make sure you have table caption tags, summary attribute, appropriate cell heading tags; (4.) consider color & contrast: think about red/green color blindness and low vision. Other practical and evidence-based strategies include the use of graphic organizers, guided notes, pause procedures among others and assessment strategies to meet the needs of all students including those with disabilities.